The first webpage a prospective patient typically lands on is your homepage. Your homepage is your first impression. It’s the reception room to your practice. There are countless strategies for creating a patient-converting homepage. The goal is to encourage prospective patients to stay on your site long enough that they schedule an appointment. 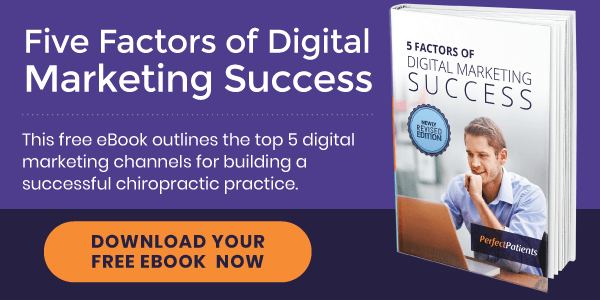 Below you’ll learn about best practices for creating a chiropractic website homepage that turns website visitors into reception room patients. There is debate in the web design world about how much content to include on your homepage. On one website you might see 800 words. On another you might see only 100 words. After a decade of examining thousands of Perfect Patients client websites, we have found that the right amount of homepage content averages around 300 words. It’s a balance of communicating what you need to say, without saying too much. Are visitors aware of what you offer? Is it clear that you are the best solution? How will you call them to action? With persuasive content, tell visitors why you are the right chiropractor for them. Due to reduced attention spans, your homepage copy must be browsable. To do this, your copy should be concise, easy to scan (bullet points, images to break it up, etc. ), and enveloped by professional photography. 79 percent of users scan a webpage; only 16 percent read the content word by word. Your homepage is a place to showcase your branding. Branding is especially important for current patients and patient referrals. After all, if a current patient refers someone to your website, this referral should know that they are in the right place. But just like having a balanced word count, a homepage should have a balanced approach to search engine optimization (SEO) for the new patients you want to generate. Google is the number-one source of new patients. 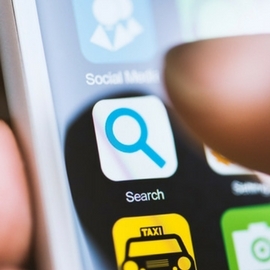 Optimizing your site for Google is the primary tactic for attracting prospective patients. Therefore, it’s essential to rank for keywords other than just your practice name. But… be careful not to overdo it. It’s all about balance. Some SEO companies will over-optimize to the extent that the copy reads awkwardly. Keywords should be sprinkled naturally throughout your content. For one, this is confusing. Two, Google doesn’t take kindly to tactics intended to trick its algorithms. Instead, use your keywords in a more natural manner. Write for patients. For example, you could include your target keyword in a heading and then inject a variation of that keyword in the copy below it. Baltimore chiropractor John Smith [links to your “Meet the Doctor” page] strives to help you understand your situation and partner with you in your care. Offering adjustments, physical rehab, and nutritional advice, Baltimore Family Chiropractic [links to your “About Us” page] helps patients overcome poor health to live their lives to the fullest. Make a confession. Why did you get into the chiropractic field? Attracting prospective patients from Google is futile if they’re not persuaded to take the next step. Persuading the reader isn’t just about compelling homepage copy. Photography spaces out your content and keeps visitors engaged. Remember, your website visitors are only one click away from the back button. Beautiful stock photos are great for your homepage. But ideally, you should also include your headshot and/or a professional photo of your team. This personalizes the user experience. It shows prospective patients that you are human. It’s what distinguishes you from your competitors. Another way to distinguish yourself from your competitors is patient testimonials. A scrolling testimonial bar at the bottom of your homepage reveals to prospective patients what your current patients think about you. This helps reinforce trust while showing why a prospective patient should choose you. Using something called “heat mapping” software, we’re able to analyze thousands of chiropractic websites to see how people engage on a website’s homepage. We can see where people click, how far they scroll, and other important behaviors. This analysis gives us insight into what elements best appeal to a prospective patient. Finally, your homepage must call visitors to action. Sure, you may have a menu at the top of your homepage that leads visitors to different pages on your site. However, this requires them to scroll to the top, which is something many visitors are unwilling to do. Call-to-action buttons and graphics should be strategically placed throughout your homepage. 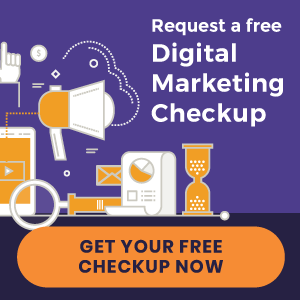 These can include everything from graphics that point to your services to photos that direct visitors to your “Meet the Doctor” page to buttons that encourage visitors to schedule an appointment. 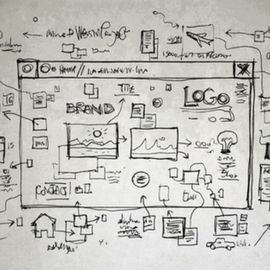 An optimized homepage is only worthwhile if it’s part of a larger digital marketing strategy. Download our free eBook, 5 Factors of Digital Marketing Success, to get started today. « Chiropractic Website Design | Thrive Family Chiropractic, LLC and more just launched!